The software, created by John de Mello and colleagues at Imperial College and the University of Southampton, translates reaction conditions into computer instructions for automated optimization in an attempt to get rid of some of the routine manual work. Many hours are wasted with chemists manually optimizing and adjusting chemical reaction conditions; this software could automate this laborious process by enabling chemists to instruct machines to perform the search for their optimum reaction conditions. 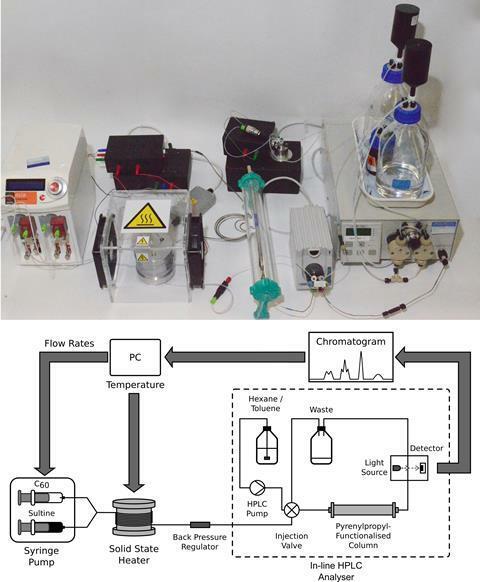 The tool could liberate chemists to focus on conceptual problems and reaction design by enabling computers to use analytical feedback to handle experiments.